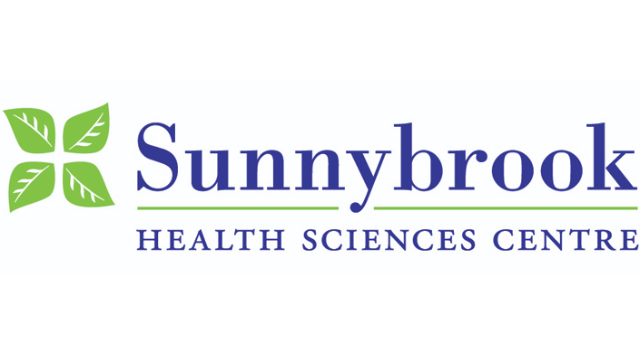 Applications are invited for the position of Chief, Department of Medicine at Sunnybrook Health Sciences Centre in Toronto, Canada, an academic health sciences centre fully affiliated with the University of Toronto. The successful applicant will also hold the William Sibbald Chair for the Physician-in-Chief at Sunnybrook Health Sciences Center named chair. This position is for a 5 year term, renewable once following a successful review. Applicants must hold or be eligible for a Full-time Clinical Academic appointment at the rank of Associate or Full Professor at the University of Toronto. The anticipated start date is September 1, 2019, or as mutually agreed upon. Sunnybrook Strategic Plan 2018-21 emphasizes the essential role that Sunnybrook plays, not only through its tertiary regional and provincial programs, but also supporting the community needs of the North Toronto Sub-Region of the Toronto Central Local Health Integration Network. Our strategic plan identifies four strategic directions that include personalized and precise treatments, integrated sustainable models of care across the health system, improving quality and creating a better care experience and building high performing teams. The Department of Medicine is viewed as central and integral to advancing the strategic directions. The successful candidate will be a transformational leader with outstanding interpersonal skills. With 136 full-time, University of Toronto-appointed staff, the Department of Medicine is organized in 15 Divisions – Cardiology, Clinical Pharmacology and Toxicology, Dermatology, Endocrinology, Gastroenterology, General Internal Medicine, Geriatric Medicine, Infectious Diseases, Medical Oncology/Clinical Hematology, Nephrology, Neurology, Obstetrical Medicine, Physical Medicine and Rehabilitation, Respirology and Rheumatology. Working with the Heads of the Divisions, the Chief will be responsible for providing institutional leadership relating the Department of Medicine to hospital strategic planning; and working with the Operations Director of the Department, for ensuring effective and efficient Department operations. The role of the William Sibbald Chair is to promote and support high quality research and education by fostering the careers of young faculty members and trainees within the Department of Medicine at the Sunnybrook Health Science Center. As a premier academic health sciences centre, Sunnybrook Health Sciences Centre (Sunnybrook) is committed to high quality inter-professional education and is the home of one of the University’s four academies for undergraduate medical education in addition to providing postgraduate and fellowship training in virtually all disciplines. Sunnybrook Research Institute (SRI) is one of the fastest growing Canadian research enterprises with internationally acclaimed programs in basic and applied research, conducting $100 million in research each year, developing innovations in care for more than one million patients annually, and passionate about providing rewarding educational and research experiences for more than 4,000 trainees each year. The research enterprise within the Department of Medicine at Sunnybrook is at the forefront of discovery and knowledge translation. In collaboration with SRI, the exceptional team of academic physicians and care providers lead in the delivery of research imbedded in care; and have gained international reputation for their expertise in health services delivery, quality improvement, advanced therapeutics, and medical education research. Applicants will hold an MD degree and have certification from the Royal College of Physicians and Surgeons of Canada, or equivalent qualification, in a medical specialty/subspecialty associated with Internal Medicine and be eligible for medical licensure in Ontario (CPSO). The successful candidate will have the vision to advance integration with Sunnybrook strategic priorities as well as with the broader community; the commitment to forging partnerships with other institutions to support the development of integrated delivery systems; experience working in diverse populations; values inclusiveness, equity and diversity; strong leadership capabilities, significant experience as an effective mentor to trainees and faculty at all stages of career; a record of excellence in peer-reviewed research; leadership and excellence in undergraduate, postgraduate, fellowship, continuing medical education or patient education; and/or leadership in model service delivery as a creative professional academic activity. Sunnybrook and the University of Toronto are strongly committed to diversity within its community and especially welcome applications from racialized persons/ persons of colour, women, Indigenous/Aboriginal People of North America, persons with disabilities, LGBTQ persons, and others who may contribute to the further diversification of ideas. Applications will be accepted until February 20, 2019, or until the position is filled. To explore this exciting opportunity further, interested applicants may direct enquiries and submit their letter of interest, CV and the names of three referees in confidence to the address shown below.